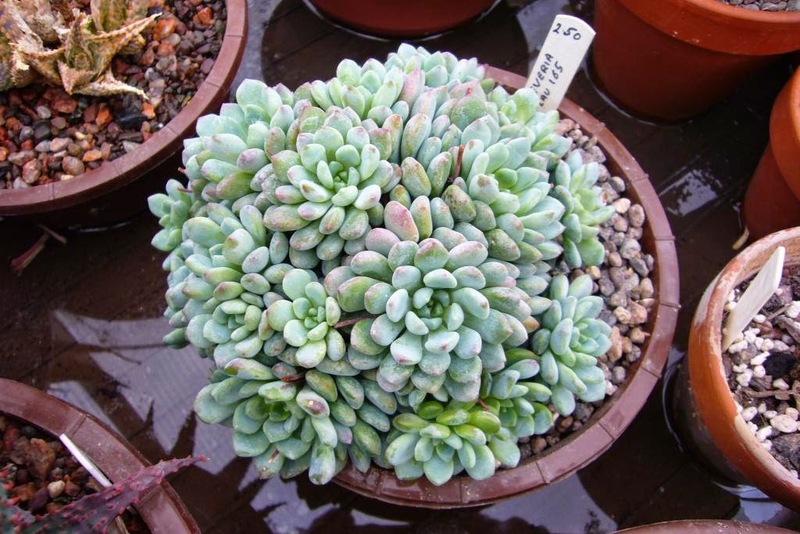 This echeveria Lau 165 is one of my favourites right now, it has formed such a tight clump that the size of the individual plants is much smaller than you would normally find. It has been repotted as it was overflowing the last one. Hopefully it should fill the new pot in no time and has deliberately been planted slightly off centre to allow it to continue to grow over the edge. 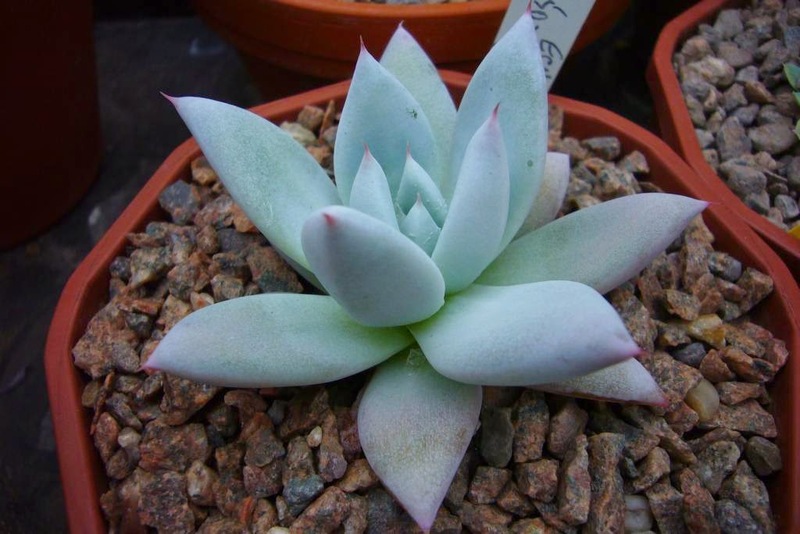 Another pale echeveria is e. cuspidata var zaragoza. It has been painfully slow to get going but has finally started to form a good clump. 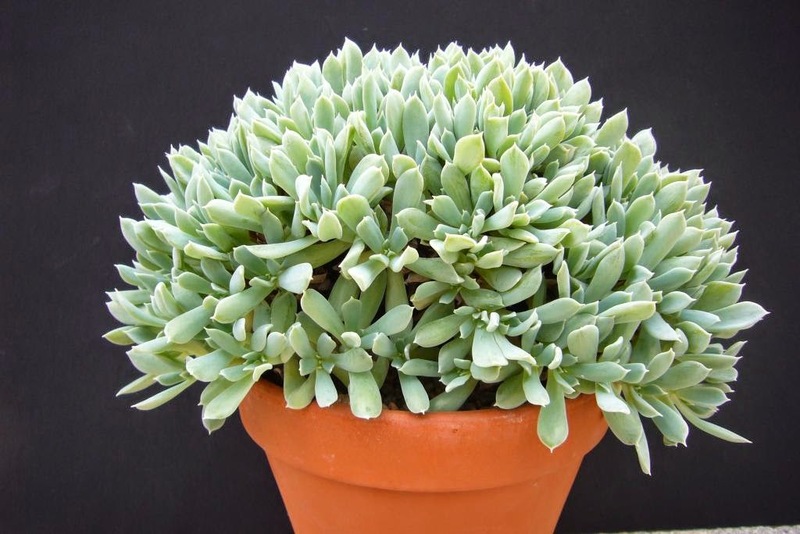 It is a very delicate little echeveria, the combination of the pale blue leaves with pink tips is great. Then there are the very white plants which require "Do not touch" signs hung all around them. 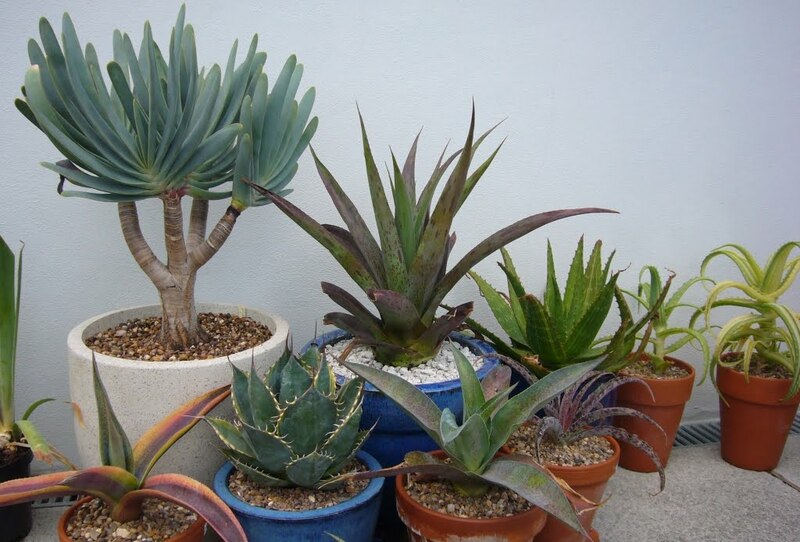 The best are plants like e. cante, e. laui. One you see less often is e. John Catlin. It is one of the new purchases this year. 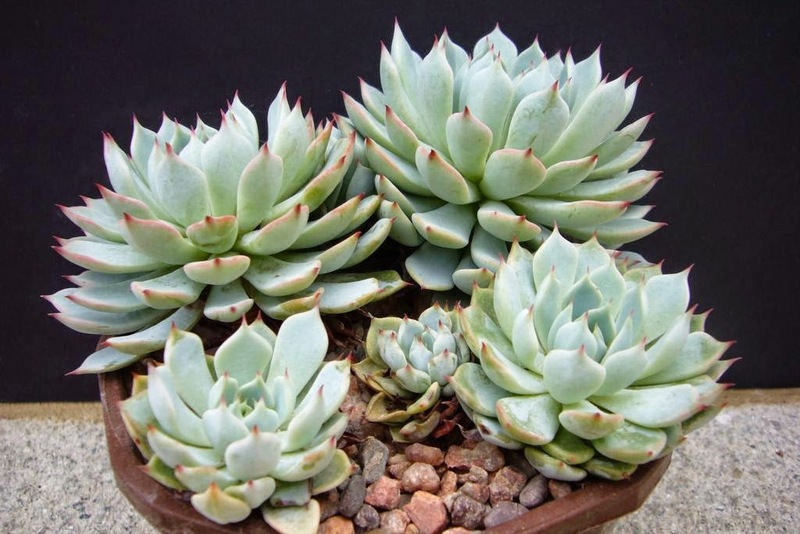 It is just getting started and looks really promising, the colour and leaf shape are great and if it lives up to its "giant" name then it may well become my favourite white echeverias. 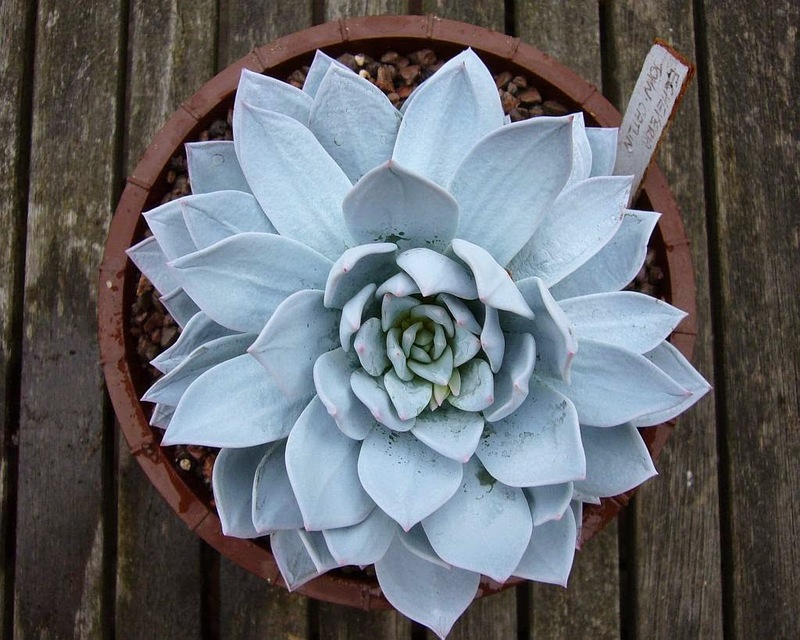 Some of the other blue/white echeverias proving interesting at the moment are the cristates. 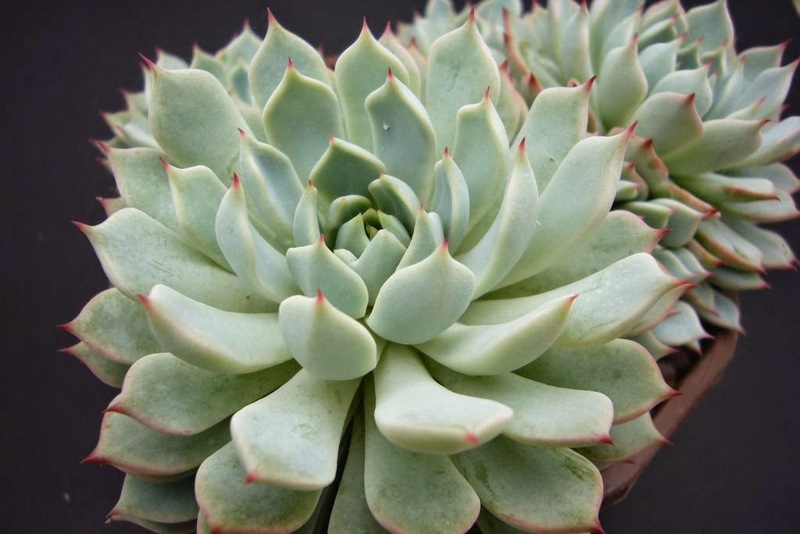 This echeveria FO48 cristate is the more commonly seen crest shape. There are a few non-cristate heads on the left hand side which I really ought to remove to keep it growing properly. 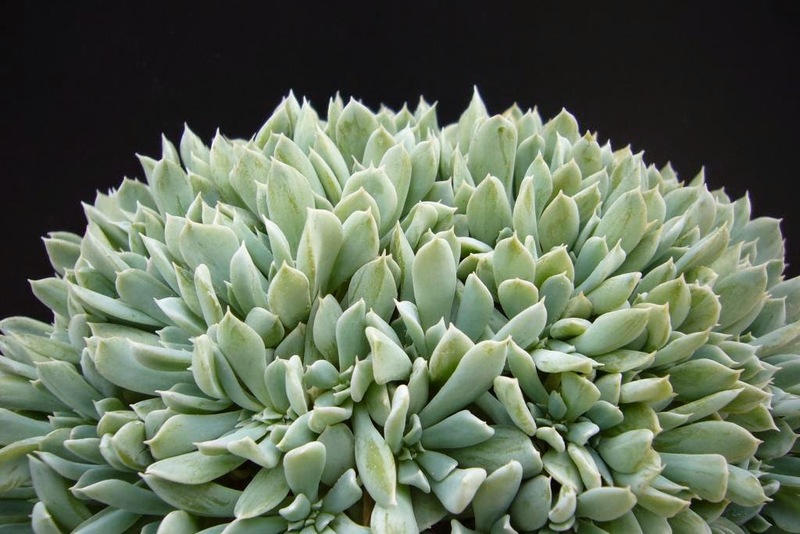 A much more dramatic plant is the echeveria runyonii cv ' Topsy Turvy' cristate. It is not the best white colour, but the shape make it stand out. 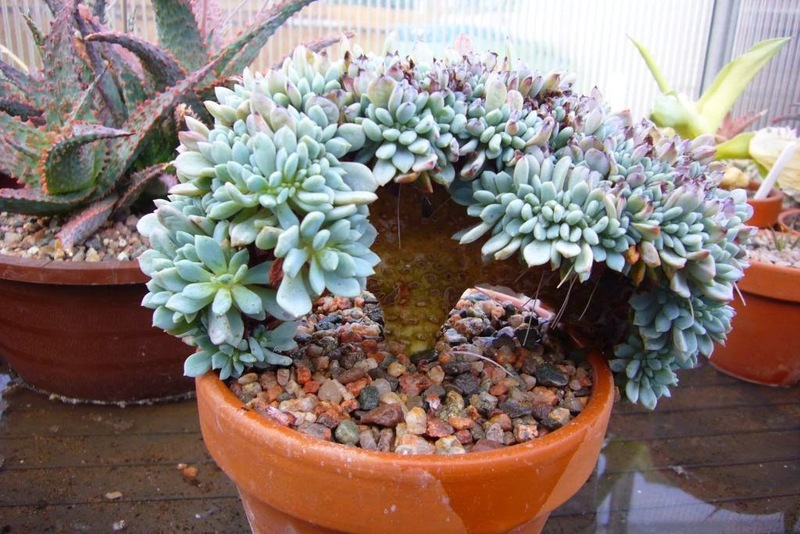 It is rare to find cristate plants that are domed. This one is not perfect yet, but it is getting there. I have left the normal heads on in some places and cut off others to encourage growth. I also have it growing where one side is dark to get different growth rates. So far it seems to be working and who knows I may manage to get my perfect dome cristate plant. You can never have too many white plants in your collection, just keep those grubbing fingers off.